On Tuesday we had our second and final raffle winner’s lunch. 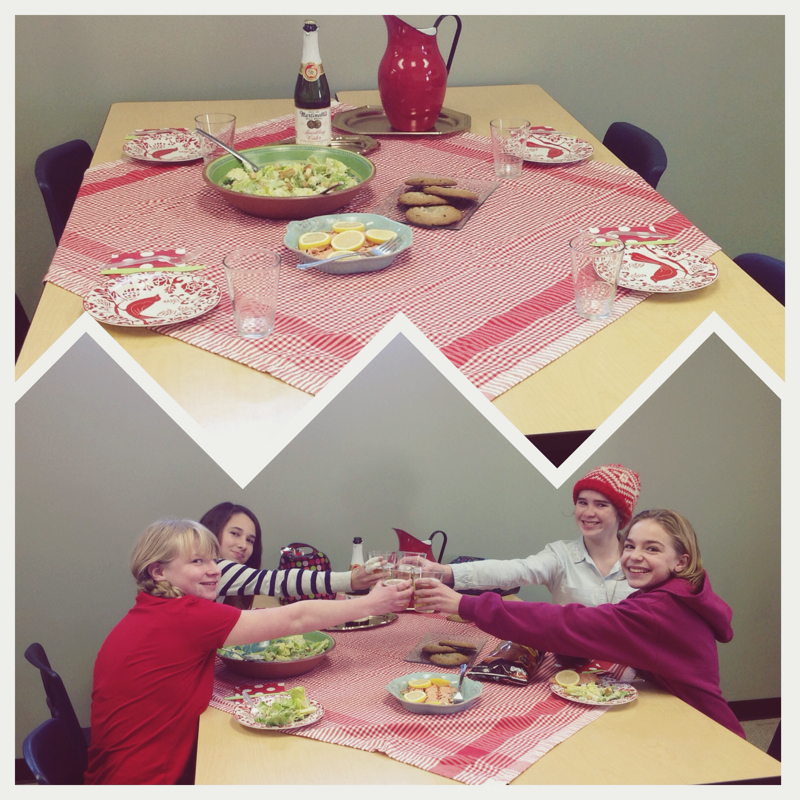 Emily invited three friends to help her feast upon salmon, Caesar salad, chocolate chip and butterscotch cookies, and apple cider to drink. Emily said of all her entries in the raffle, Clockwork Prince by Cassandra Clare was her favorite. Hansel and Gretel: Teenage Deviants? 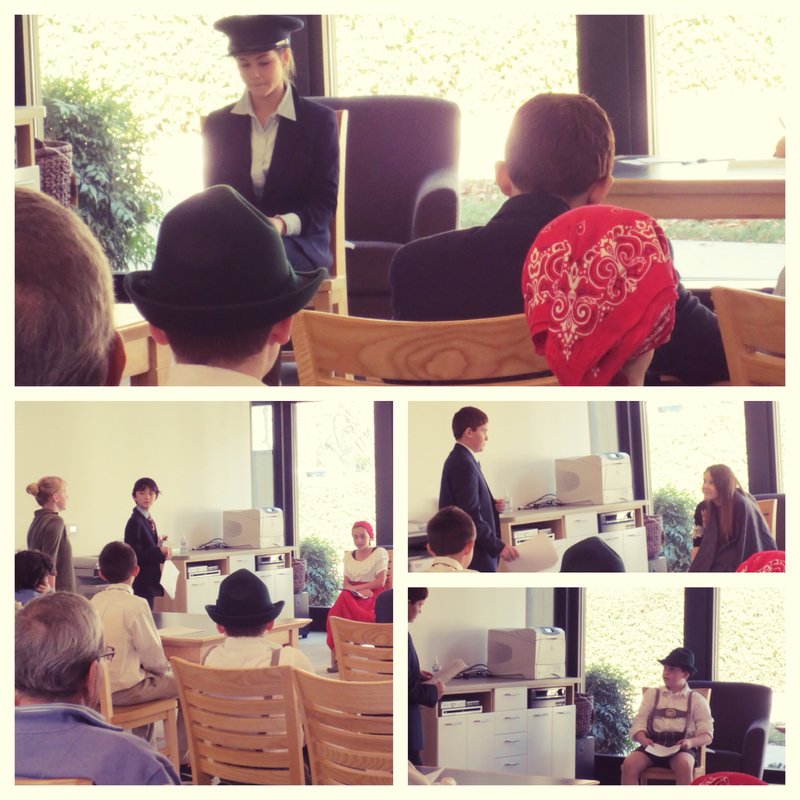 Today the library was pleased to host a mock trial for middle school. On the stand were Hansel and Gretel versus the witchy owner of a gingerbread bakery. There were no witnesses to the attack, so it was a tough call for the jury. In the end there was not enough evidence to convict Hansel and Gretel, so they were declared innocent. 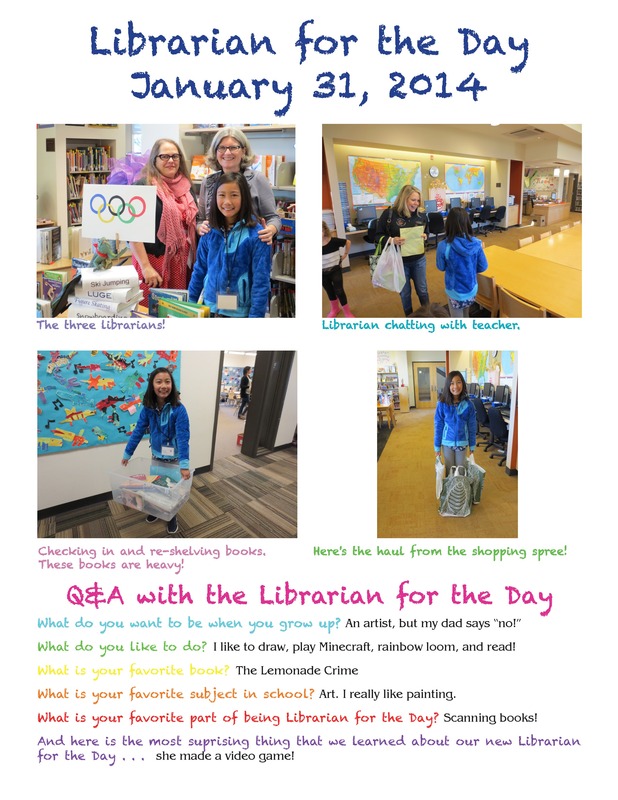 On Monday we hosted one of the two winners of the Teen Read Week Raffle Lunch. 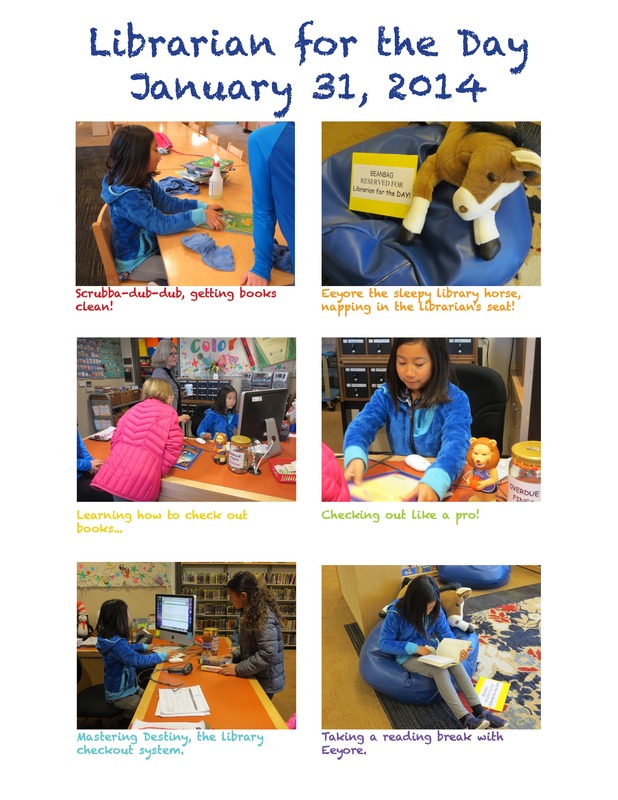 The librarian prepared lunch for Amelia and three of her friends. The feast included macaroni and cheese with tomatoes, sugar snap peas, sparkling apple cider, and lemon bars for dessert. The raffle allowed up to five entries/book titles per student. Amelia said that of all her entries, A Dance With Dragons by George R.R. Martin was her favorite. We followed the TED talk with another great piece by Shane, “The Crickets Have Arthritis,” which is about his time spent sharing a hospital room with a dying 9 year old boy, and what it means to take life for granted. The other day when I was leaving campus, I saw this bird on Latham Drive. I call it the Holiday Break Bird, but I’m sure it has a real name. I’ll consult with Ms. Delu, library friend and birdwatcher, and get back to you with it. Hope everyone is having a great break! 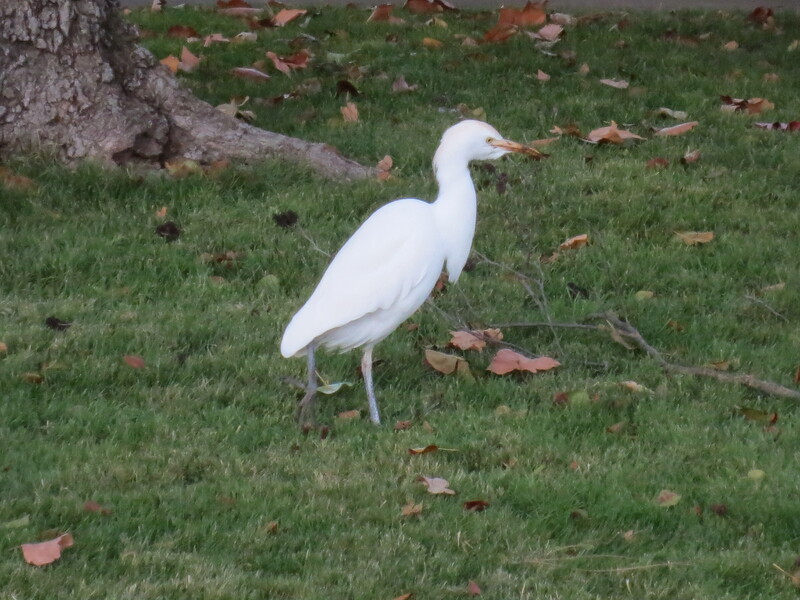 Update: Ms. Delu says it’s a cattle egret. She told me they’ve been roosting in the big pine trees by American River Drive opposite our fields. They eat from our playing fields. She said she’s seen up to 30 birds in the fields. Thanks for clearing that up for us, Ms. Delu!